Harry's got a unique sound, no doubt, but he's a bit one-trick pony. Best in short doses. Yah, that's why I'm here. Nice piece; till next time. Enough already with the Harry Manx. Every time I hear him my rating goes down by one point. Boring. I quickly glanced over your comment and briefly thought it said "Best in short dresses." If you can work it, work it. Harry Manx good.....Shaved Manx better. Is it just me but the (beautiful) lead guitar and the backing are just a tad out of tune with each other? Sorry. As any bluesman will tell you, Death Don't Have No Mercy. Nice try though. Perfect song for New Year's Day. "Ooh, death, just spare me over another year..."
How'd you know today is my b-day? Another year older but still have all my marbles (I think). Also most of my teeth. And I still have my health so what more could I ask? Spare me over another year indeed. Thank you for playing this for Mr. Petty. 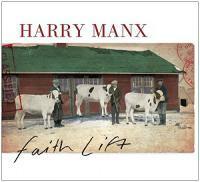 Way too much Harry Manx on RP. His songs all sound the same. By that, you mean they all sound great, correct? Just saw the man live with a string quartet, it was transcendental.